Join us for worship on Sunday mornings at 10:30 a.m. and for a free, home-cooked dinner on Wednesdays at 6 p.m.
Join us for Sunday worship, Wednesday dinner, study groups, or social gatherings. Rent the Chapel for your wedding, recital, or other public or private event. 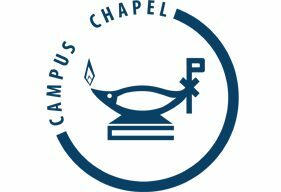 The Campus Chapel is a ministry of the Christian Reformed Church to the University of Michigan.